Water deficit is considered the main limiting factor for the establishment, survival, and growth of plants mainly in water-limited ecosystems. Plants have evolved a wide range of morphologic and functional mechanisms to adapt to arid environments. However, if the tension in the xylem conduits becomes too high, thus xylem cavitation can occur i.e., water column breakage. This results in the hydraulic disconnection of leaves and above-ground parts from roots because xylem conduits are filled with air and water vapor, and this phenomenon is called embolism. Therefore, the resistance of the xylem to cavitation and embolism is of paramount importance for plant functioning. 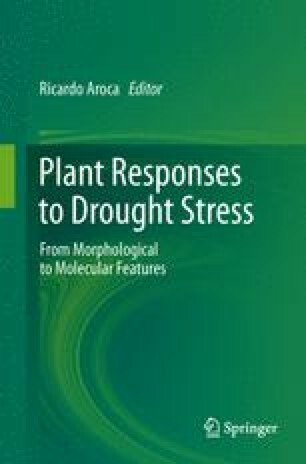 In this chapter, we will review the role of plant hydraulics and xylem cavitation in the context of water-limited ecosystems and their relationship with other plant functional traits and with survival capacity. These topics will be analyzed and discussed on the basis of current knowledge and our research experiences. This chapter reviews and summarizes some of the outputs generated from research projects funded by the European Commission (CREOAK project QLRT-2001-01594; FUME Grant Agreement nº 243888), the Spanish Ministry of Science and Innovation (PERSIST CGL2006-07126; GRACCIE-CSD2007-00067 CONSOLIDER-INGENIO Program; SUMIDEROS SUM2008-00004-C03-03; CASISFOR AGL2010-21153-C02-02; SURVIVE CGL2011-30531-C02-02) and the Spanish Ministry of the Environment (ESTRES 063/SGTB/2007/7.1), as well as by the Regional Government of Valencia (XYLREFOR GRUPOS 03/155; APLITEC GV 05/208; INNOVA GVPRE/2008/085; FEEDBACKS-PROMETEO/2009/006). We greatly thank the Regional Forest Service (Consellería de Infraestructures, Territori i Medi Ambient, Regional Government of Valencia) for funding our research goals. We also sincerely thank Jacqueline Scheiding for the English proofreading of the text and two anonymous reviewers who provided excellent feedback for the manuscript improvement. Fundación CEAM is supported by Generalitat Valenciana.